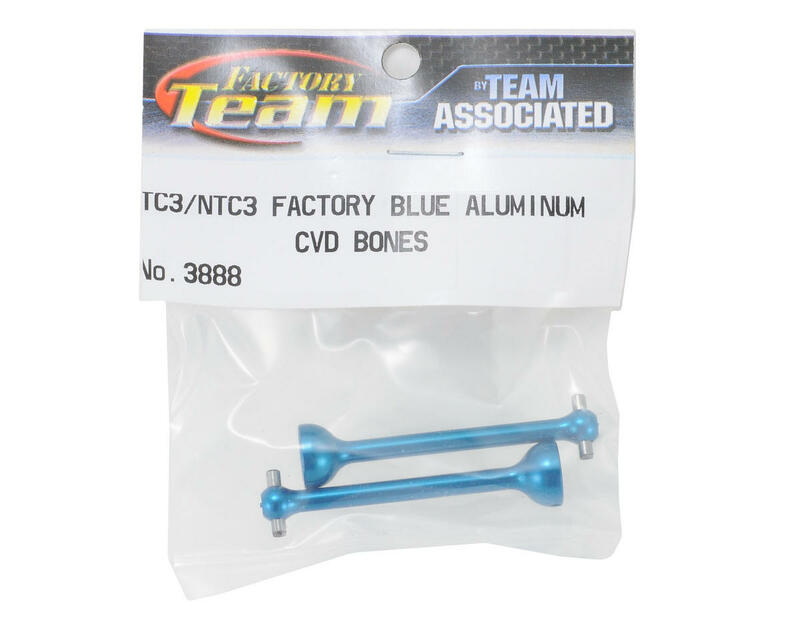 This is a pack of two replacement Team Associated Aluminum CVD Bones. 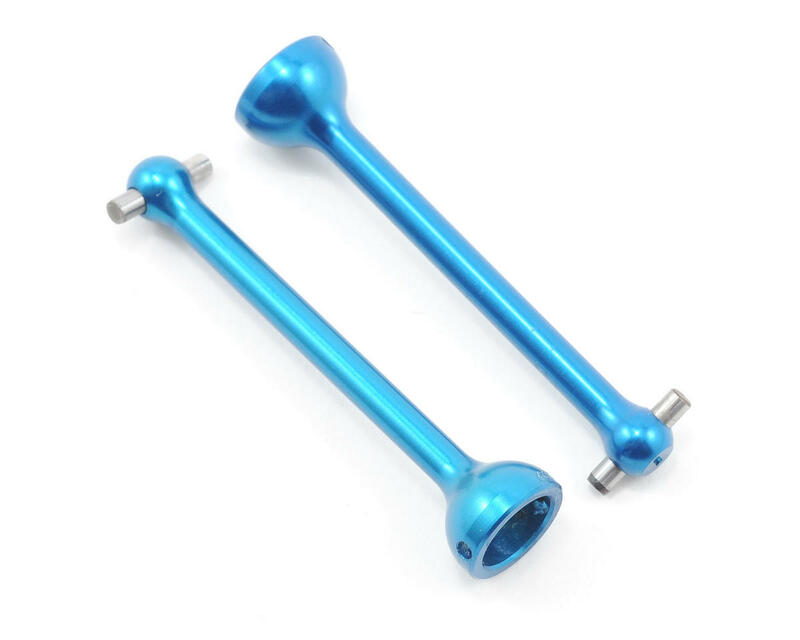 These aluminum bones are anodized blue for great looks, matched with great light weight. These shafts work and look great! I know there not designed to be beat up on 3s but handle 2s just fine. I did a slight mod to the outer steel shaft where the bearing goes against. Just filed it down as much as possible and that gives me full lock on my steering and stops it from wearing against the aluminum shaft cup. these arent any better than the stock composite bones. i thought they had to be. the stockers would just break all the time at high speed. i bought these they twist off at high speed. yes twist and break. bought the steel bones and no more problems. these are no good.